Are your discolored teeth preventing you from smiling, laughing or talking freely with friends and family? Does it make you self-conscious, anxious, or embarrassed? Teeth whitening, a simple cosmetic procedure offered by dentists, has improved the smiles of thousands of Americans and helped them regain self-confidence. The age old story holds true – anything that stains white fabric will stain teeth. Extrinsic stains, or stains on the surface of the tooth, are caused by products like coffee, tobacco, tea, berries and soy sauce. These substances are notorious for staining teeth. Extrinsic stains can be managed with brushing and flossing, and can be significantly improved with teeth whitening. Intrinsic stains, or stains under the surface of the tooth, are caused by traumatic injuries, medications and fluorosis. Because the stains are inside the tooth, brushing, flossing and teeth whitening cannot lighten them. In this case, veneers may be the best option, as they can cover any type of staining. Some commercially available ‘whitening toothpastes’ can be somewhat effective at removing stains and making teeth a few shades brighter. However, many of these products contain abrasive substances that can actually wear away tooth enamel. 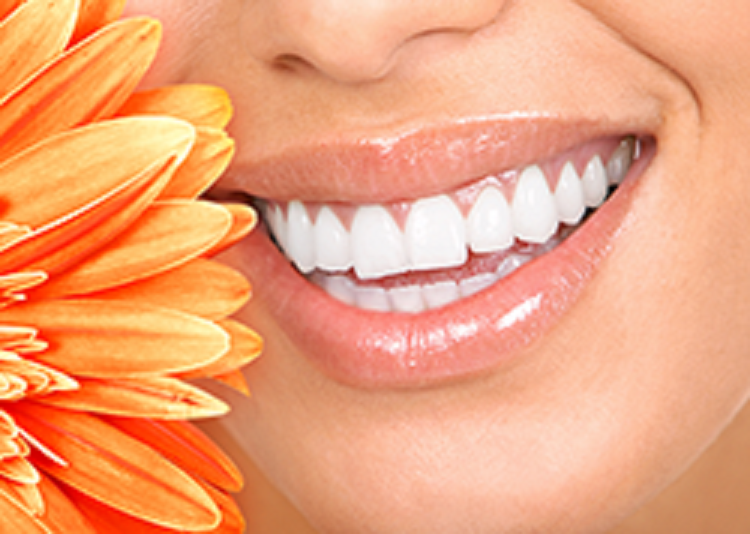 Most in-office teeth whitening products use whitening agents powered by hydrogen peroxide. This chemical actually bleaches teeth, removing stains. In-office whitening and take-home kits from your dentist can drastically whiten your teeth in a much shorter amount of time than is possible with over-the-counter products. Teeth whitening is not as effective on pitted or badly discolored teeth, or on restorations such as crowns, bridges, bonding and tooth-colored fillings. Professional in-office whitening and take-home whitening prepared in-office are the safest and most effective teeth whitening methods on the market. When done properly, tooth whitening can last up to a year without needing retouching, especially if you practice excellent oral hygiene! For more information on Teeth Whitening in the Reston, VA area call Reston Family & Cosmetic Dentistry at (703) 437-5555 today!